Project Healthy Smile – PHS wins a Top-Rated 2012 award! PHS wins a Top-Rated 2012 award! 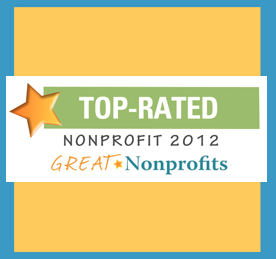 Thanks to your reviews PHS has been given a Top-Rated 2012 award from GreatNonprofits.org. Please continue to leave us a review on our GreatNonprofits page.